Wrap yourself up in style this Spring/Summer with Kesem Boy’s bold and beautiful beach towels. They’re just made for the sun and salt drenched days and long and languid lounging. 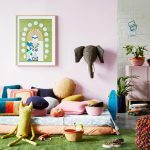 Designed by Talia Golan, who took on textile design after launching her interior design business Kesem Boy in 2013, the range of beach towels embody her passion for colour play and edgy patterns. 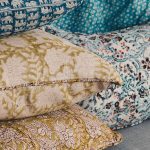 All of the Kesem Boy beach towels, bath towels, bedding, cushions, and throws are designed in Sydney and made in Portugal, where Talia has been able to source the highest grade European materials to produce her pieces. The result is a collection of textiles that are luxuriously soft, and superb quality. These gorgeous beach towels grabbed our attention with their edgy mix of print and pattern. Made from 100% Cotton Terry Velour, they look as good as they feel. Our current fave definitely has to be the modern Black Diamond beach towel, with its striking black and white diamond design. The Leopard Street beach towel is fierce and fresh, just the way we like it – Kesem Boy rank this one as the embodiment of their daring and design forward brand. The Peace Palm beach towel is like a summer escape, with its bold violet blue palms inspired by Portugal, where the Kesem Boy cotton towels are manufactured. 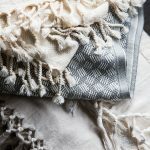 You can see the whole range of Kesem Boy towels, bedding, and accessories over at kesemboy.com or shop the look over at Greenhouse Interiors.